Groupe féminin noir US de Doo Wop formé en 1956 à New York. Les Chantels comprenaient Arlene Smith, Lois Harris, Sonia Goring, Jackie Landry et Rene Minus. Le groupe s'est séparé en 1970. 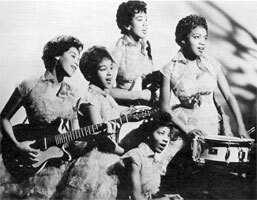 One of the very first girl groups, the Chantels are best-known for their 1957 hit "Maybe." Between 1957 and 1963, the trio racked up a number of hit singles, but none of them was ever as popular as "Maybe," which came to be regarded as one of the definitive singles of the genre. All five members of the Chantels — Arlene Smith, Lois Harris, Sonia Goring, Jackie Landry, and Rene Minus — met as children, when they sang in the choir of Saint Anthony of Padua, a Bronx-area school. Arlene Smith was the leader of the quintet. Smith wrote all of the group's early material and she was the one who convinced the other girls — whose age ranged between 14 and 17 at the time — to audition for Richard Barrett, a record producer and a member of the doo wop group the Valentines. 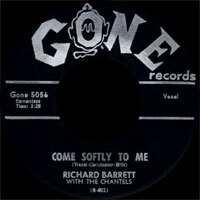 Barrett signed the band to End Records and produced the Chantels' first single, a Smith song called "He's Gone." 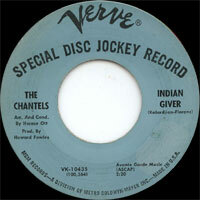 Released in the summer of 1957, the single peaked at number 71. However, the group's second single — another Smith composition called "Maybe" — was a smash hit, peaking at number two on the R&B charts and number 15 on the pop charts in early 1958. "Maybe" sold more copies than its chart position suggests; the single was pirated by several other small record labels and none of those sales were tallied for the final chart position. 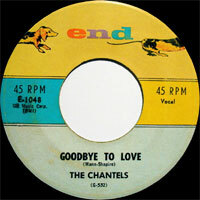 For the next year, the Chantels tried in vain to deliver a follow-up as successful as "Maybe." Two hit singles — "Every Night (I Pray)" and "I Love You So" — followed on End Records, but the label dropped them after a handful of other records failed to make an impact. Around that time, Smith left the group to pursue a solo career and Harris had left the group. 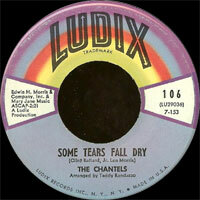 The Chantels didn't replace either singer and continued as a trio. 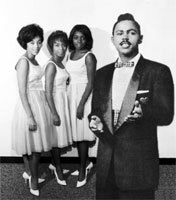 In the summer of 1959, the group supported Richard Barrett on his single, "Summer's Love," which peaked at number 29 on the R&B charts. In 1961, the Chantels signed with Carlton Records, where they had two minor pop hits: "Look in My Eyes" and "Well, I Told You." Carlton dropped the group the following year and the band moved to Ludix, where they had a minor hit with "Eternally" in the spring of 1963. 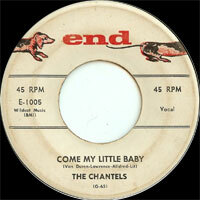 The Chantels continued performing until the end of the decade; they officially disbanded in 1970. A few years later, Arlene Smith re-formed the Chantels, recruiting four new members; the other original members all retired from the entertainment business. Smith continued to lead various incarnations of the Chantels into the '90s. When she wasn't touring the oldies circuit with the Chantels, Smith worked as a schoolteacher. 1958 EP END 201 (US) I LOVE YOU SO - Sure Of Love / Prayee / I Love You So / How Could You Call It Off?